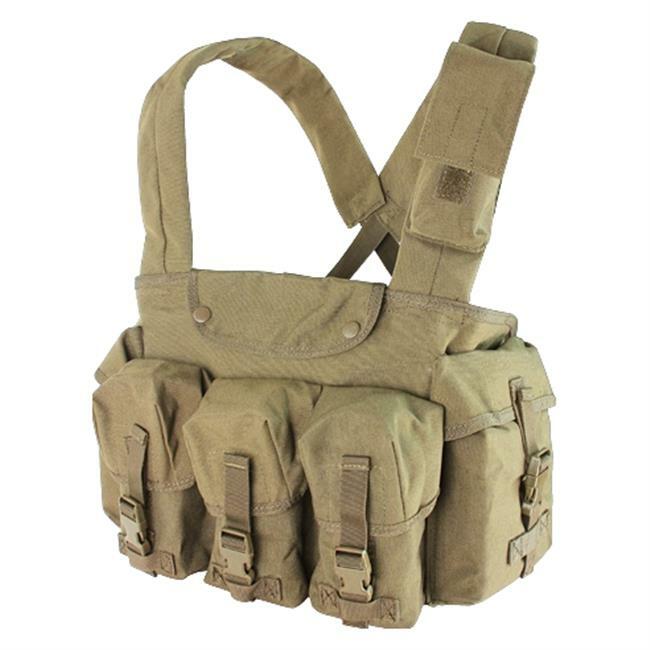 Store your combat utilities in one convenient place with the Pocket Chest Rig. With three centered pouches for ammunition and two additional pouches for other accessories, this rig offers a simple, efficient way to carry all of your gear. The document/map pocket extends around the entire space on the inside to maximize storage. This rig is designed to hold up to six M16 magazines, keeping you prepared in risky situations. 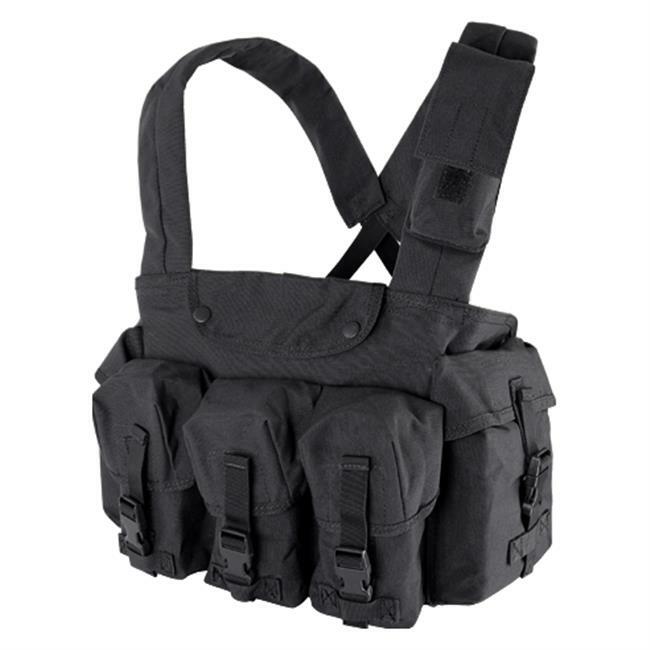 The adjustable cross back shoulder straps are padded for comfort and stay in place throughout your mission. This rig is large enough to be worn over most plate carriers or by itself.